Salesforce Community is the evolution of portal technology, offering a new and more contemporary user experience, combined with a system of engagement and intelligence. 2010 – Chatter launched: a new concept for effective collaboration on business processes. 2014 – Community Cloud: communities became important, with more people involved in research, with more dedicated developers, marketers and sellers. 2016 – Lightning Bolt and custom templates for customer, partner and employee communities. 7,500+ Activated communities with 55M members. So, what are the technologies that today’s customers are facing? Websites: well branded and open, but there is no personalisation or interaction. Portals: they are connected to business data, but not mobile or personalised. Social Communities (like Jive, Lithium or even Facebook): there are interactive discussions, but they are not connected to business processes with customer integration. The application has URL, internal/external users, multi-device support and it SUPPORTS business processes. 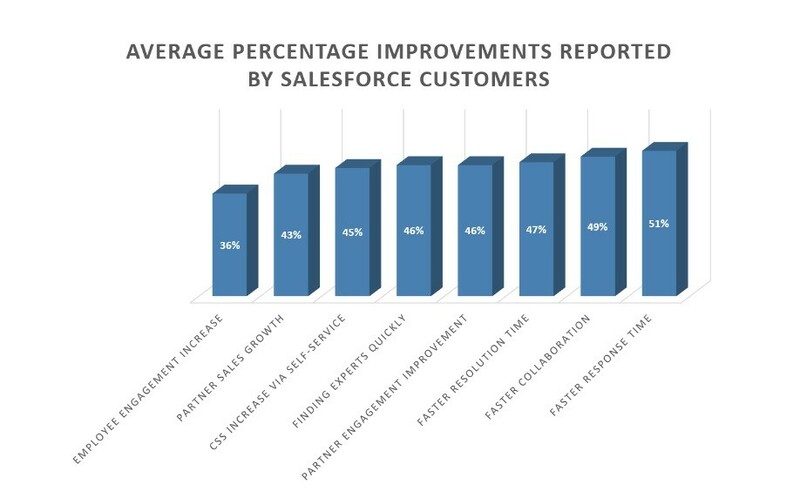 Establishing a Salesforce Community means you have to have business processes. It has tools for collaboration – Knowledge, Q&A, Chatter and document storage. You get secure data access – core metadata platform for all cloud products with high-level security. So why are communities successful? Because when you have a community, you have a system of records, engagement and intelligence in one place. You can and you should use it for your business partners, employees and customers.